In an early and cheerful work, Dickens had his hero Mr Pickwick declare that 'travelling was in a troubled state, and the minds of coachmen were unsettled'. Pickwick Papers was published in 1837: fast forward 180 years, and travelling continues to be in a troubled state, to put it mildly, and the vast majority of minds are unsettled for a variety of reasons. Dickens' mood, of course, darkened. Although he never lost his comic vision and his ability to create convincing characters, much of his writing took on the nature of a crusade, as he tackled the plight of poor and abused children, the lumbering and harsh machinery of the law, and the dire state of education: to people with any social conscience, all these matters were of grave concern in the middle years of the 19th century. Something similar can be said of the dystopian novels now available to us, as most seem to concentrate on warnings about the future that are based on current trends in society. Debate continues about the matter, but there is a strong case for arguing that Jonathan Swift's Gulliver's Travels was the first novel in the dystopian genre to be written in English; a great many have followed since 1726. Small wonder that there is a particular surge of interest in dystopian novels at present: many people feel that times have never been so troubled or so complicated, although I remember my father pointing out that people felt the same when the longbow and later gunpowder were invented. Amazon recently reported that Orwell's 1984 and Huxley's Brave New World, both dating from the mid-20th century, are selling like hot cakes. This at a time when certain purveyors of doom are lamenting the fact that 26 per cent of Americans, for example, did not read a single book during 2016, and wringing their hands, in a manner of speaking, about the death of the novel. "Any worthwhile novel changes mindsets; successful dystopian novels offer both warnings and hope." The novel has been supposedly gasping its last for as long as I can remember, so that I am reminded of Mark Twain's comment on his own supposed death: 'The reports of this death are an exaggeration.' Although visual trends have shifted from print to image during the last 30 years, the novel continues to flourish and in various genres. 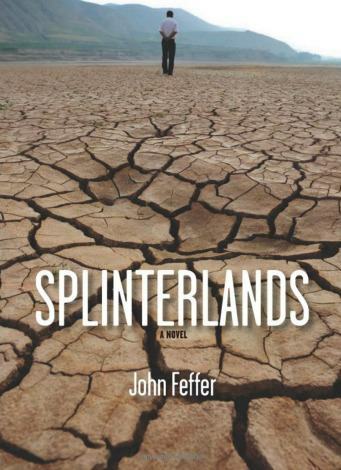 John Feffer, American writer and foreign policy analyst, has lately written his own dystopian novel, Splinterlands, which takes the reader into the broken world of 2050. It is, predictably, a chronicle of impending disaster in which a faint hope still gleams, despite the break-up of the European Union and the United States and the ravages of rapid climate change. In a recent article Feffer quotes writer Junot Diaz as saying that the dystopian novel is 'the default narrative of the generation,' postulating that such novels become bestsellers because they offer narrative resistance to powerful forces such as maverick leaders of government, climate change, and almost constant war. Feffer suggests that we ordinary people have to take matters into our own hands. As readers, he says, we are free to interpret dystopian novels in our own way, but as citizens we have to do the best we can to rewrite our own reality. He is not specific about how we can achieve this, but it is obvious that any rewriting will be hard work. As writing and living in the cause of reform always have been. Unlike most dystopian novels, many that Dickens wrote presented a nightmare world of poverty, oppression and injustice, but were set either in his own time or in the past. Think Hard Times, Barnaby Rudge, and A Tale of Two Cities. Dickens was a creature of frenetic energy, and in a simpler world, did manage to inspire a strong wish for change. When A Christmas Carol, with its concern for children and poverty, was published, its effect on the public was such that William Thackeray, another mighty novelist, deemed it 'a national benefit', and one Lord Jeffrey said it had prompted more beneficence 'than all the pulpits and confessionals in Christendom'. Mahatma Gandhi once said “You must be the change you want to see in the world.” If all people of good will did this, we would have 'the best of times'. I was raised a fundamentalist protestant. The world was definitely on the verge of ending - the Second Coming was imminent - surely before I sat my Inter(mediate Certificate) - but when that moment passed - well - what was the point of studying for my Leaving (Certificate) - surely I'd either be up there (or down in the default location) by that date! And I sat that latter examination process in late 1965. I remember in Infants School when the discussion among my mates was that if it rained (and the day was grey) we would die. We had a kids' garbled version of the fallout from British atomic bomb "testing" in Australia's centre and north-west. Anyway, Gillian - getting back to your point about the novel - having recently attended some sessions at the Adelaide Writers Festival - apart from Caroline BAUM's elegant and quite moving autobiography Only: A singular memoir - I have lost myself in a Peter ROBINSON DCI Banks mystery When the Music's Over - and a book by his fellow writer during the interview Adrian McKINTY - Police at the Station and They Don't Look Friendly (A Sean Duffy Thriller). Escapist! This piece has steered me into self- reflection; As a teenager i took an oath never to read another book after Yr 12. I took an oath of ignorance.. It is very worrying that fear and loathing are the main emphases in the media. Hopefully positive and worthwhile improvements will continue ..... ( there must be some!) and we will learn something worthwhile from the dystopian views of the past. We don't really have much say in, or control over, whether, or how, we are born and give birth; what genetic legacy we are carrying, for better and for worse; how, or when, we depart this life; and even the terms of our tenancy on earth. So perhaps it is better to focus on the blessings that grace our lives, and sing those audibly and clearly enough to put some of the shadows and fears and threats to flight, while making a stand , morally and in other ways, against what we see as destructive and in some sense not right. The reading of books is so important for people to gain an understanding of the world we live in. Reading, however, is on the decline as is seen by the fact that 26% of Americans did not read a book in 2016. We know that reading has declined because of TV. In the US, where ordinary workers have not had a wage increase for at least 2 decades and where many are so underpaid that they work 2 or 3 jobs to make ends meet would also have a lot to do with this decline. It seems to be the case of more social justice so that there can be more reading ! Riding her gondola, a skimpy thing like herself, she sees her balloon ablaze, begins her descent, feathered hat lost, a rushed farewell performance. The house roof's pitch steep, her rigging tangled, fire almost out, burned, broken, she can't hang on, she who once remained aloft all night over Rome. A film about a lonely widower who repeatedly attempts suicide seems like a grim proposition. Ove has suffered one too many blows in his life, the latest being the loss of his job. He finds himself at a loose end, if not purposeless. He is the self-appointed overseer of the gated community where he has lived for years, enforcing protocols of behaviour among his terrorised neighbours. Now he's had enough, and decides to join his beloved wife Sonja, in eternity. But dying doesn't come easily to Ove.